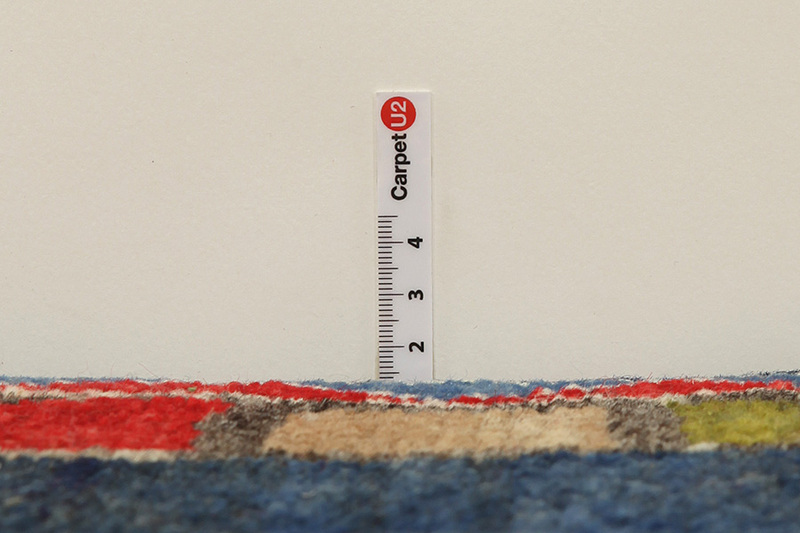 Gabbeh Carpets : Gabbeh in Farsi means natural, primitive. 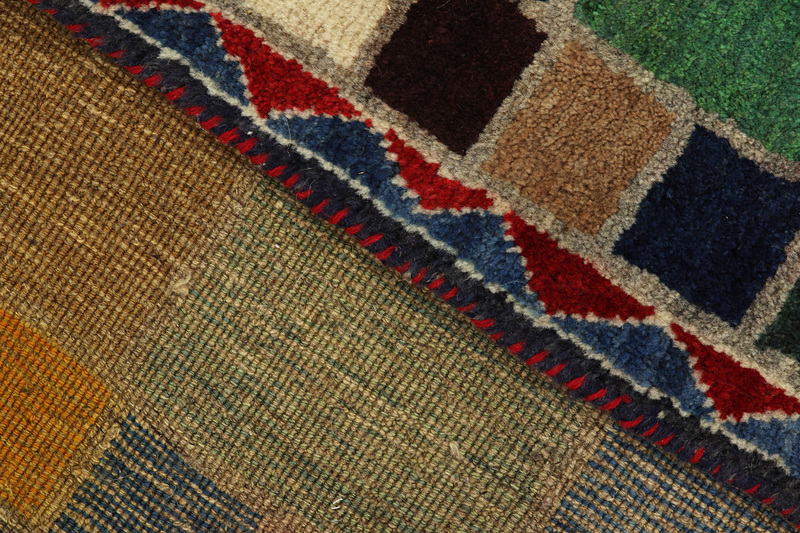 Carpets and textiles with this name are woven by the nomads Qashqai who roam about, or in villages in Southwestern Iran where they live. 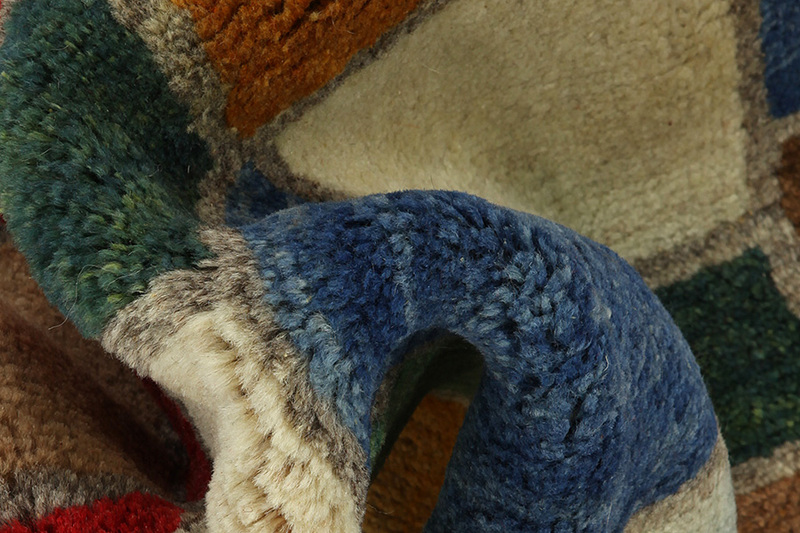 The yarns are processed and twisted by hand, painted with herbal colors and woven with a wool warp up to 2 cm thick. 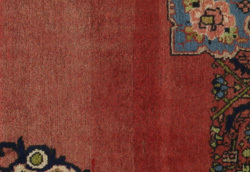 These carpets are simple, with few designs, or monochrome. 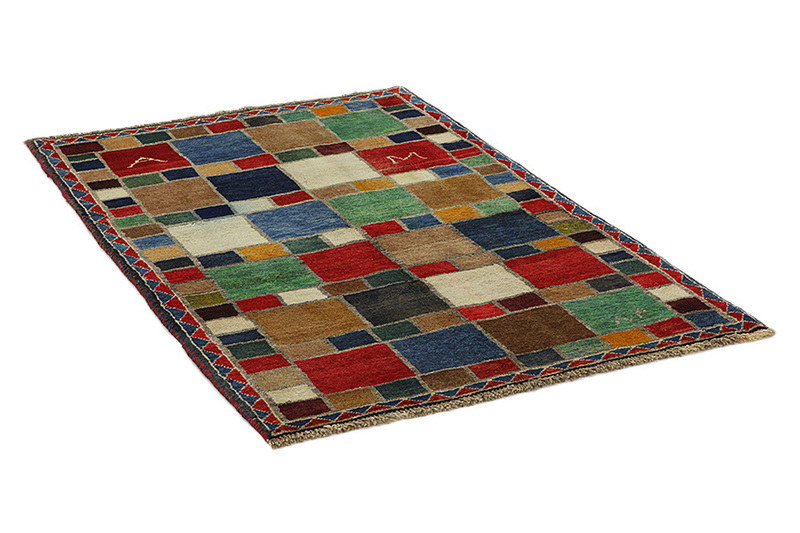 The simple, linear designs with animals and human figures give them a contemporary look. 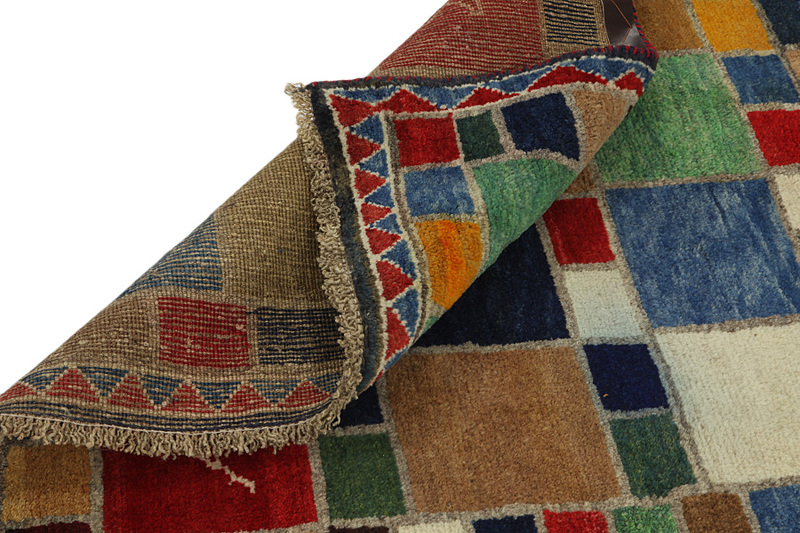 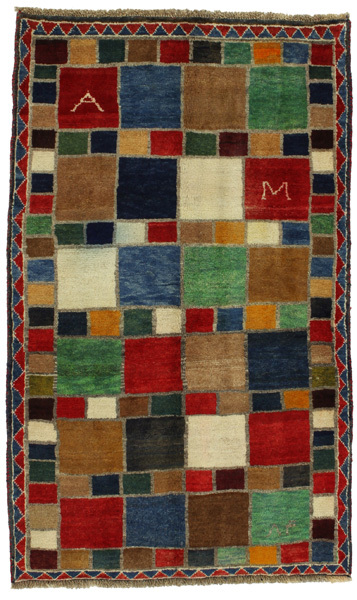 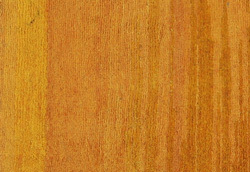 Various names are given to Gabbeh carpets such as Basic, Amalehbaft, Kashkooli, Luribaft and Sumak. 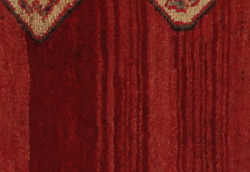 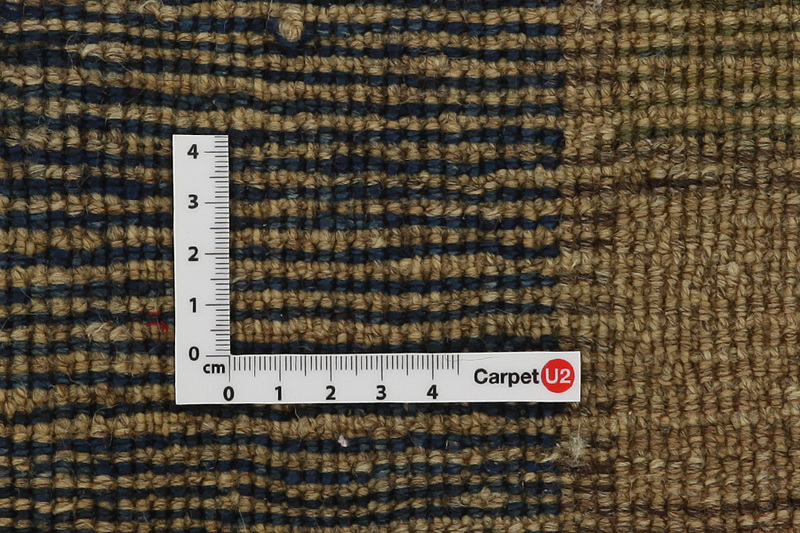 Gabbeh Kashkooli is a carpet with high knot density and thinner than ordinary Persian Gabbeh carpets. 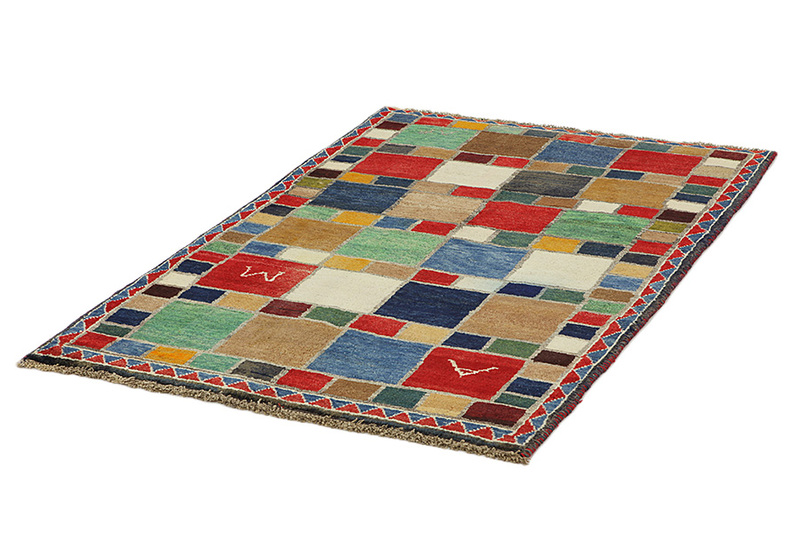 The Persian Gabbeh is very durable and its quality is very good.